I recently became a stepmom of 8. About a year ago I got married to a man who has 8 children and two grandchildren. In one rather brief ceremony I became a stepmom and stepgran to now 3 grandchildren! At first I knew I needed to start praying for them and I did, but my prayers seemed all over the place. 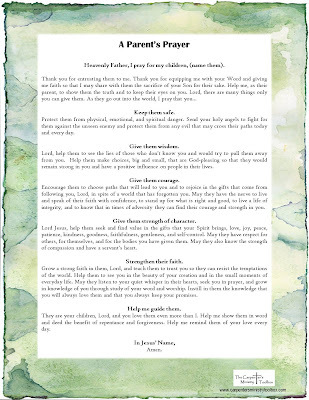 I thought about what I thought they needed most and wrote a Parent's Prayer. 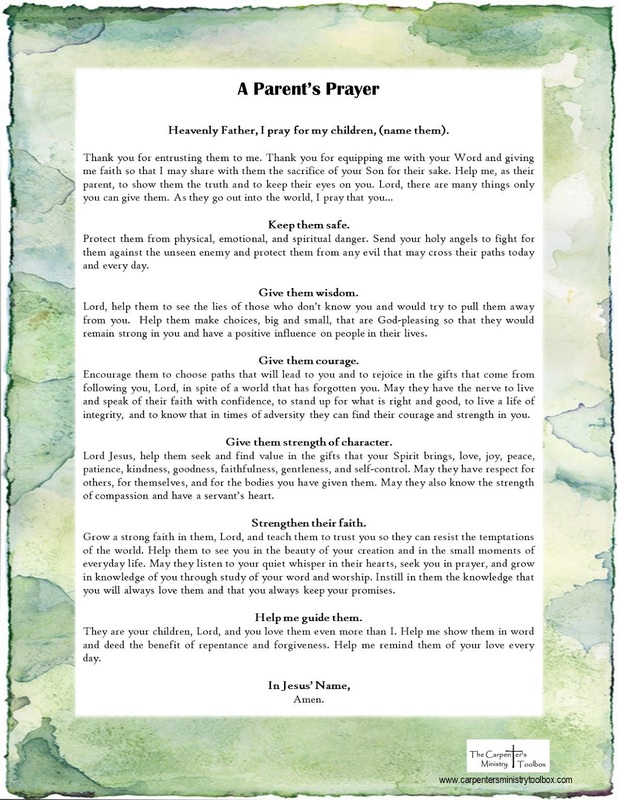 Sometimes, after I pray this one, I include something unique for each child If a grandparent wants to pray there's one for them too. It's nearly the same thing with a few minor changes.